Welcome to a new Merry Monday Christmas Card Challenge!! We hope you'll join in the fun this week! Be sure to check out the creations of our fabulous design team! Oh my this is darling! Such a fun and creative idea for this week's theme! Love it, Kathy! Such a cute card, Kathy! I love the papers and of course, Santa! Have a great week! Such a fun card. Maybe Santa had too much sugar and is excited about the holiday. So cheerful. This is so cute, Kathy! Love your Santa on top! Very cute card Kathy, this is a super cute cupcake. I love your super creative, Christmas ice cream cone, Kathy! Santa just adds to the fun! I hope you enjoy the rest of the week! Love this, what a cute little creation! That embossed background is GORGEOUS!!! Oh my goodness--I absolutely love your card! Such a cute and adorable card Kathy. Love the Santa doing the Happy Dance! 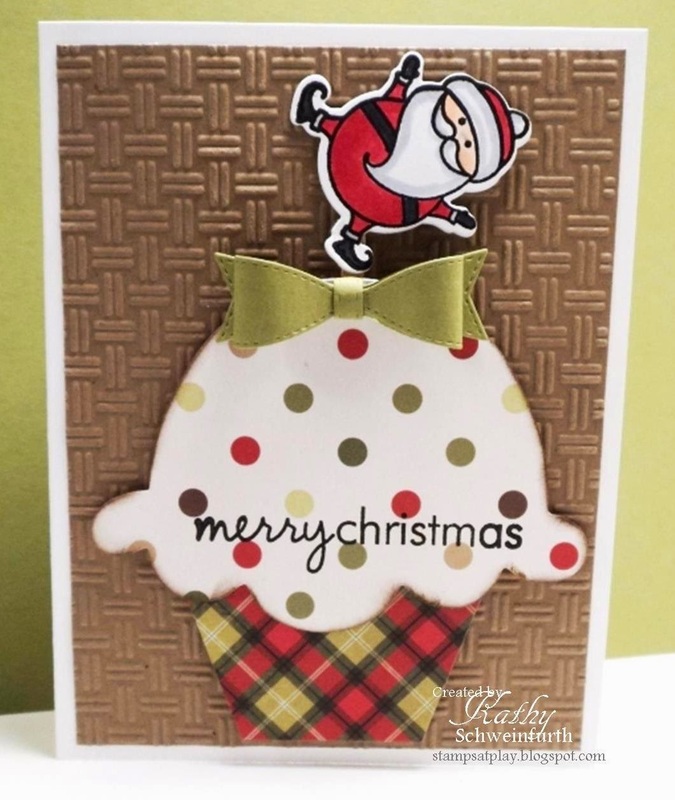 Kathy, you never cease to amaze me...LOVE this card :) Love the waffle embossing and that ice cream cone is amazing ;) WTG! 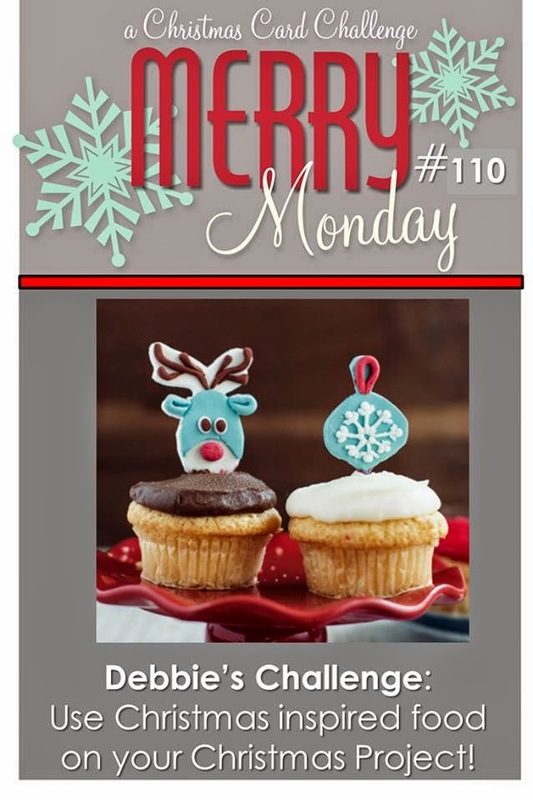 Cute santa balancing on a cupcake.Looks fabulous!